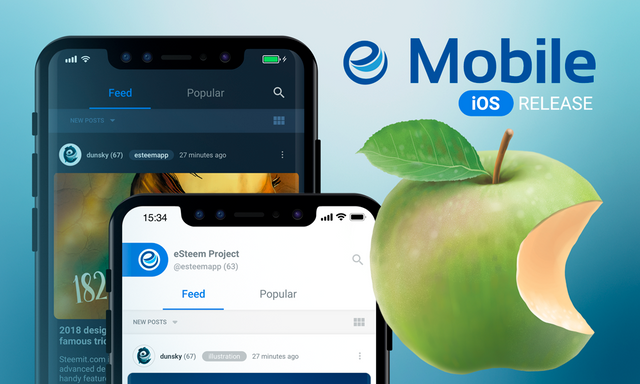 Here is our recent update of eSteem Mobile 2 for iOS devices. New mobile client for Steem blockchain with reworked user interface. This version is separate from old Legacy eSteem 1.6.0 you might used before. It will not update on it's own. Please download new application from App Store or Google Play. I’ve installed it! It came with a lots of all new good stuffs that every blogger will love to experience! I love the notification ability! Excellent updates, a lot of useful features. Thank you for what you are doing. Your hard working will get the certain boundary name success and inspire the others. I am glad to join this community with @esteemapp and the team. Thank you @good-karma. Your UA account score is currently 8.481 which ranks you at #1 across all Steem accounts. In our last Algorithmic Curation Round, consisting of 211 contributions, your post is ranked at #18. Hey check my last post! Welcome to iOS users ! Congrats. With new release, korean users can enjoy esteem with our language. I’ll keep improve its context and try update it. La estoy utilizando y es genial. What is the reward system like on esteem?